Mama Made USA offers heavenly bath and body care products made by Moms. The Zenpa Sea Sponge Soap enables you to enjoy the unique experience of bathing with natural silk sponges from the Atlantic Ocean. These luxurious sponges are filled with fragrant soap that contains shea butter, oatmeal and blueberry fruit. 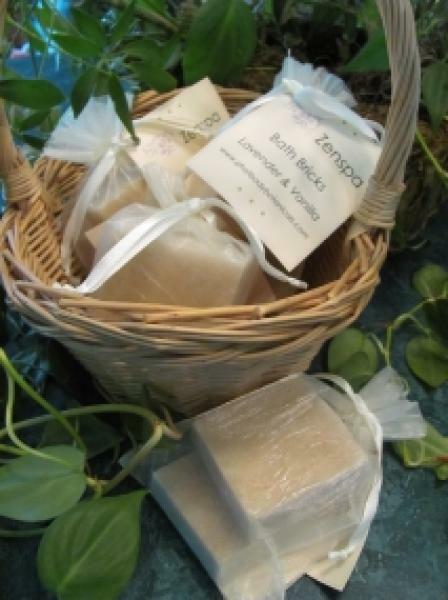 If you are in need of a soap that is soft & gentle, check out the Zenspa Baby Soap Bars. The bars are available in two scents, milk & honey and lavender & vanilla. Another product that sounds terrific is the Nature Infusions Pedi Bar that is infused with pure all-natural honey known for it's natural anti-bacterial properties. Of course, not all products are for women. This shop offers beer-scented soap that is sure to appeal to some of the males out there! And, if you're looking for a nice gift set, don't miss the Sweet Fix Fudge Soaps. A box includes four generously sized “fudge” chunks. Visit Mama Made USA's main website for more items hand-crafted by Moms.